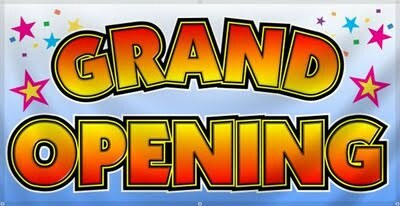 Morris Plains, NJ ~ The Talk of The Town: Welcome Wash N' Wiggle to Morris Plains ~ Grand Opening Weekend Celebration! Welcome Wash N' Wiggle to Morris Plains ~ Grand Opening Weekend Celebration! Morris Plains Has a New Shop in Town! This Weekend, December 3rd and December 4th let's welcome a new shop in town! As they celebrate and open their doors, Wash N' Wiggle is offering Half Off Self Service Dog Washes. People who register to be a Preferred Customer will be invited to our Preferred Customer Grand Opening Celebration Event on 11/30 (tomorrow) from 3pm to 8pm. Tomorrow night you will be able to come to the store without their dogs and enjoy some appetizers, and non-alcoholic beverages, and tour the facility and meet the staff. You will be assigned your loyalty cards (if they have not yet received them in the mail), and be able to purchase Services and Packages and make Appointments for the Full Service Grooming. Self Serve Does not need Appointment. Wash N’ Wiggle is a unique concept that has newly entered the pet industry in northern New Jersey. Self-Service Dog Wash, Full-Service Grooming, Dog Walking Services, Dog Yard Waste Clean up and more! Our pledge to you is simple: we are focused on catering to you and your pet! A really fun place where dogs can take their owners! One Mile from one of the Largest Dog Parks in Northern New Jersey, Morris County Central Dog Park, and Lewis Morris Park in Morristown! All supplies are provided: apron, nail clipper, shampoo, conditioner, towels, brushes and dryer. ADA Compliant Ultra Lift Elevating Tubs. Our Full Service Grooming Salon has the Best Equipment and Experienced Groomers, for a Low-Stress Environment for your pets. Fiberglass Ultra Lift Elevating Tub. Dryers have acoustic material to lessen the noise level. HDPE Cages for a better comfort level, No Stainless Steel! This is our “On the Road” unit, to tie all of your pet service needs together, all from one business. THE MORE SERVICES YOU PURCHASE AT WASH N’ WIGGLE THE BETTER THE SAVINGS YOU WILL INCUR. Our staff is unique in that they provide the same love, compassion and, most of all, RESPECT to your pet; they are trained and certified in American Red Cross Pet First Aid, Safety and CPR and are educated in all dog behavior. Customers can register to be a Preferred Customer, which means you will be eligible for discounts, free services, and notified of special events.